When your hot water stops working, you’ve lost your dishwasher, your washing machine’s hot water function, and you are taking cold showers! That can be seriously disruptive to your daily routine. M5 Plumbing Services LLC delivers fast, efficient water heater repair in Vancouver, WA and surrounding areas—we don’t keep you waiting! Our experienced technicians work on any make, model, or age of water heater you have, including commercial heaters. We can often make same-day appointments, and we arrive on time, and ready to work. Our full-stocked vehicles have parts and equipment for just about any hot water heater repair problem, so you don’t have to wait for a part to be ordered. If you are tired of your old, inefficient model, as us about sales and installation of a new one! We offer residential, commercial, and industrial water heater repair. Our water heater repair services are one of the most affordable in the area. 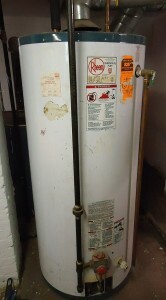 We are able to repair any size, age, or type of water heater. We guarantee our work and parts, so you know you can count on us to get the job done right. Our experienced and skilled technicians quickly get to the source of the problem, no waiting. We are often able to schedule same-day appointments. We are a locally-owned, trusted business. We offer upfront, written cost estimates with a description of the water heater repair problem. Don’t be forced to wait. If the water heater is repairable, we are the company who can fix it—now! Contact us today for your water heater repair in Vancouver, WA and surrounding cities. M5 Plumbing enjoys serving the Vancouver, Washington area. From the beauty of Columbia River Gorge to the unique downtown area, Vancouver, WA has much to offer.